Microsoft may be on the cusp of handing a finished version of Windows 10 to PC makers, just a few weeks ahead of the operating system’s official launch. Microsoft is reportedly about to hit a major milestone for Windows 10, with a “Release to Manufacturing” build that will ship on countless new PCs. Sources have told both Neowin and The Verge that Windows 10 RTM is in its final testing stages, and could be complete this week. RTM refers to the version that Microsoft supplies to PC vendors, who may then add their own drivers (and, in many cases, bloatware) before shipping their machines to retail stores. As Microsoft has explained previously, PC vendors and retailers will get their hands on Windows 10 first. Updates from Windows 7 and Windows 8.1 will then roll out on July 29, starting with Windows Insiders who’ve spent months testing preview versions of the software. All other consumers will receive their free updates in waves. 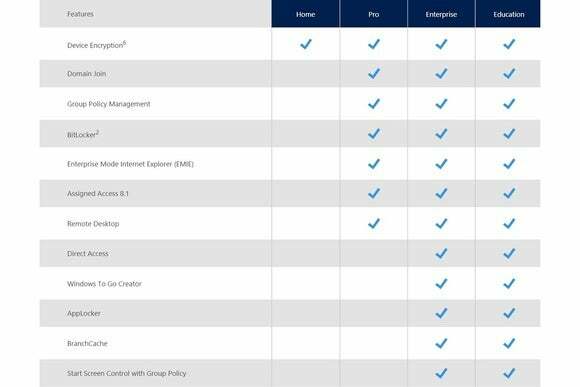 In the meantime, Microsoft has posted a series of charts that compares Windows 10’s Home version with its Pro, Enterprise, and Education versions. We’ve known about these differences for a couple months now, but the chart helps emphasize that most home users should be fine with the consumer version. This includes all core Windows 10 features such as the virtual assistant Cortana, virtual desktops, the new Edge browser, and support for biometric identification (including fingerprint readers, iris scanners, and facial recognition). Windows 10 Home will cost $119, while Pro will cost $199, though Microsoft is offering free upgrades from Windows 7 or Windows 8.1 within the first year of launch. Users who want to upgrade from a consumer version to Windows 10 Pro will have to pay $99, Neowin reports. Why this matters: RTM is an important step for Microsoft, marking the beginning of the end for new PCs with Windows 8.1 on board. 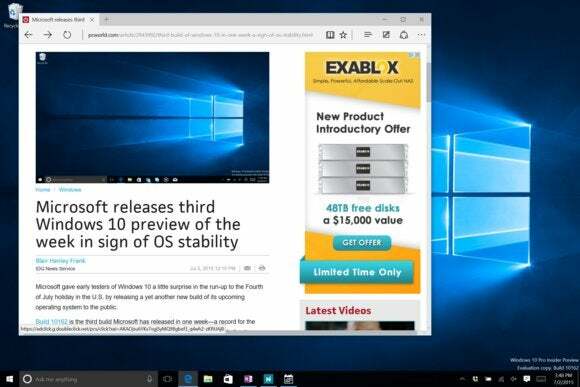 Still, this version isn’t quite as final compared to previous Windows releases, as Microsoft is planning to continually update the operating system over time.